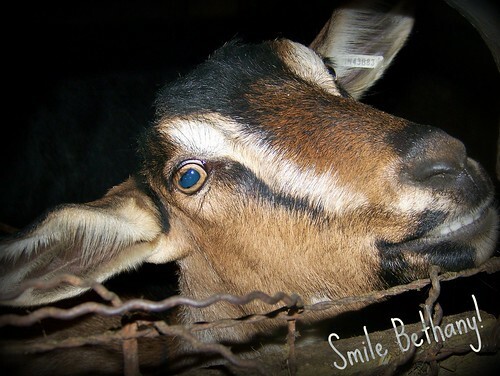 One day while out in the barn, our goat Bethany was making the funniest ‘smiling’ faces! She did better than this when the camera wasn’t out, but this gives you an idea of how ornery she was being! “Thus saith the Lord; cursed be the man that trusteth in man, and maketh flesh his arm, and whose heart departeth from the Lord. “For he shall be like the heath in the desert, and shall not see when good cometh; but shall inhabit the parched places in the wilderness, in a salt land and not inhabited. Hind’s Feet on High Places is an allegory of a girl named Much-Afraid, her journey to the mountains with the Shepherd, and how she is transformed into “Grace and Glory” by Him. Mountains of Spices is the continuing story, where she comes back to the valley with the Shepherd and wins her relatives over to the Shepherd’s service. The above links were found at thefuntheory.com . this bread is almost as good as pumpkin pie! Preheat oven to 350 degrees F. Grease and flour three 7×3 loaf pans. In a large bowl, mix together pumpin puree, eggs, oil, water, adn sugar until well blended. In a separate bowl, whisk together the flour, baking soda, salt, cinnamon, nutmeg, cloves and ginger. Stir the dry ingredients into the pumpkin mixture until just blended. pour in to the prepared pans. Bake for about 50 minutes in the preheated oven. Loaves are done when toothpick inserted in center comes out clean. Makes 3 loaves. We keep a family journal in which we write down all the funny little things that little people say, or just fun things that happen. 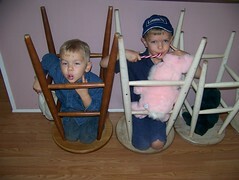 This time, I decided to type them out here as they are in our journal : ) Enjoy! I can't wait to see what the movie will be!!!!!!!!! yay!!! those videos are funny…lol. Hmm–the Pumpkin Bread sounds quite delicious! I may have to try it sometime soon. 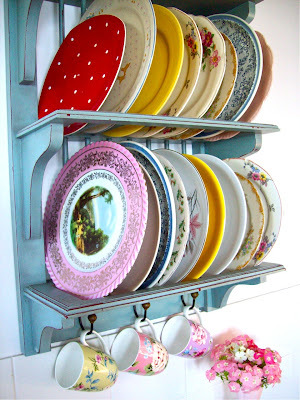 I love the idea with the mis-matched dishes! Very creative idea! Hurray for Sherwood Pictures! And they are going to make the announcement on my birthday! Double yahoo! I can't wait to see what it is all about! Must go! As usual, I enjoyed your entry!